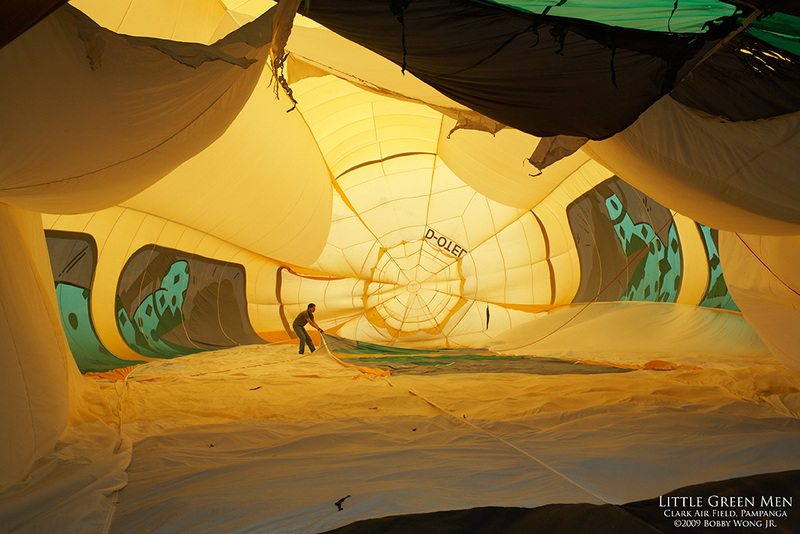 If you look inside a hot air balloon, do you see little green men? At the 14th Hot Air Balloon Festival at the Clark Air field in Pampanga, everyone got a chance to peek inside a hot air balloon. This particular one needed a little help so the pilot scrambled inside and untangled its stubborn folds. That did the trick. He inflated the balloon with a big electric fan and then fired just enough hot air into the void to raise the balloon from the ground. By controlling the amount of hot air hence, the balloon either lifts-off or returns to earth. Neat huh? And little green men? I sure saw one and now so do you. Enjoy. 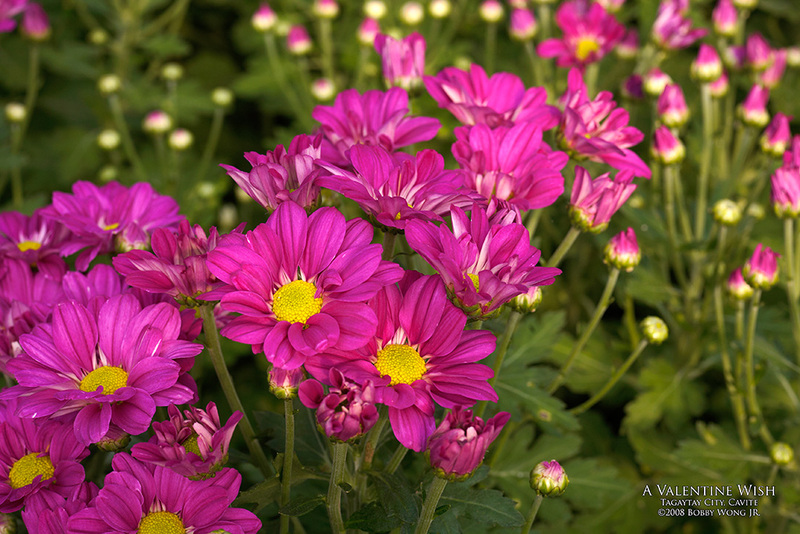 First light, the precise moment when night turns into day, is a moment eagerly awaited by all twilight peepers. When you get lucky, the feeling is hard to describe. It can enthrall! 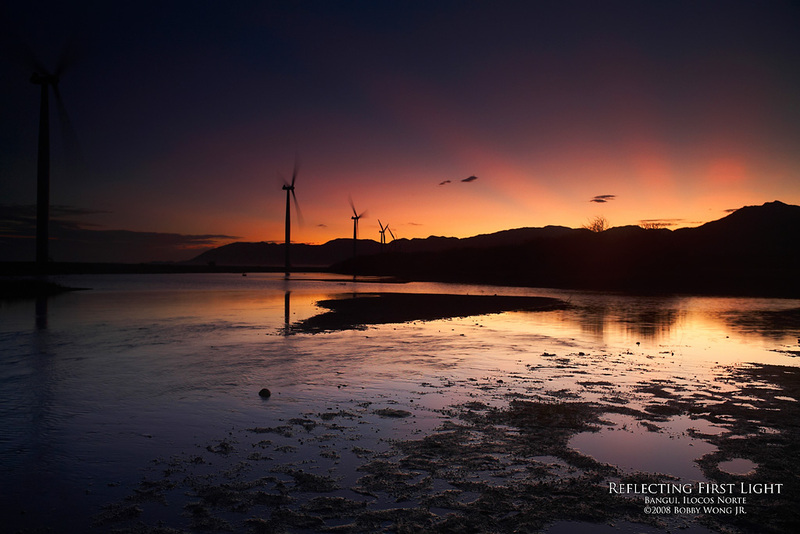 In Bangui Ilocos Norte, the site of a wind farm along the shore, first light started out as any other. First total darkness except for the moon and stars. And then pink, orange, and violet streaks magically appear as the returning sun light up the clouds from below. The most colorful part of twilight is why we're up at 4:30am! And if you can find a body of water to reflect and multiply the colors from above, it can truly enthrall! Enjoy. 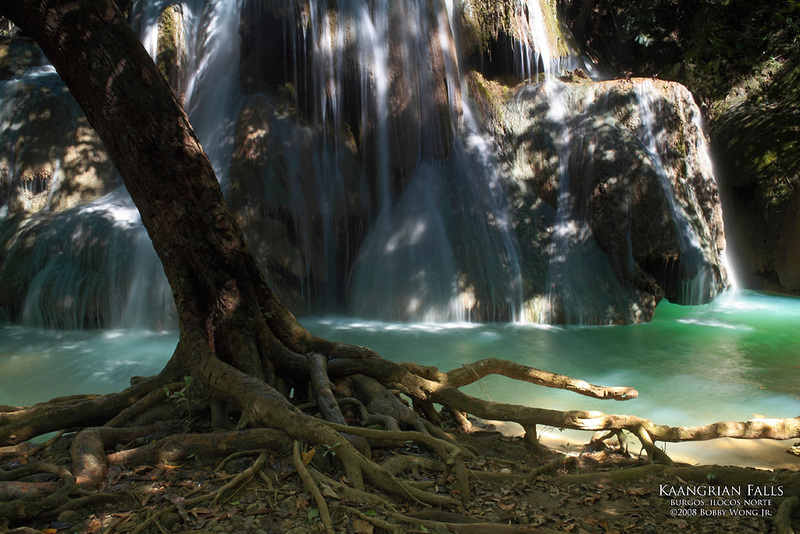 But wait, there is more to Kaangrian Falls than what last week's photograph suggests. You'd think all that falling water has got to go somewhere, right? Well, further downstream is a series of shallow and interconnected pools where shimmering water overflows from one pool to the next, in a downward rush towards a second and even higher waterfall just off a narrow cliff. It was here that the shafts of sunlight caught my eye, peeping through the overhead canopy every now and then, and painting these shallow pools in warm undulating light. A most captivating sight! The humid morning and the trek down had taken its toll. The glistening pools beckon, but time can sometimes be too short for those luxuries. Boy, what an excuse to return! Enjoy. A hidden waterfall is always a treat, so when they told us there was one nearby, we didn't hesitate. 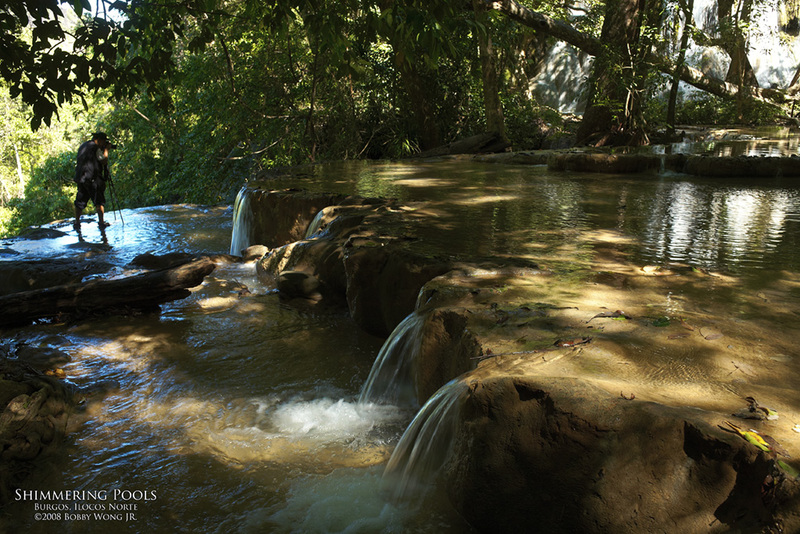 The Kaangrian Falls is a relatively recent discovery and a popular destination in the town of Burgos, Ilocos Norte. It was an easy 30 minute trek down a gorge, through two small streams shallow enough to keep your pants dry but your socks all soaked. The trail itself is well worn but the vegetation is still lush and thick. The waterfall is about 20 feet high, a gentle cascade of water cool and clear, just as my photograph suggests. Enjoy.